This luxurious townhome has four bedrooms, five baths, and a one-car garage. 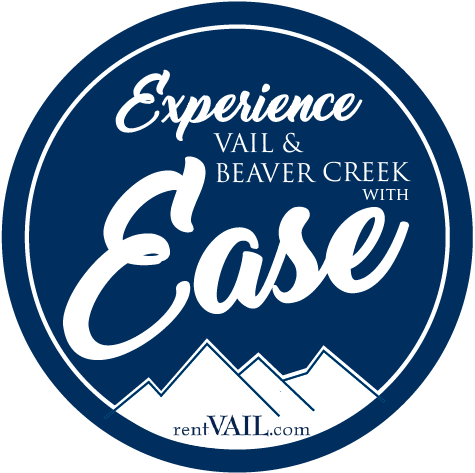 Welcome to rentVAIL, your source for quality Vail Valley vacation rentals, including condos, homes, and townhomes throughout the Vail and Beaver Creek area. As our guest, we guarantee satisfaction with your vacation rental from reservation to check-out. Use our convenient online vacation rental search to select from all our area homes, condos, and townhomes to find the perfect one for your trip and experience Vail with ease! Whether you are looking for close proximity to the slopes or the golf course or prefer a ski-in-ski-out rental we have it all! Browse our inventory today and wait, don't miss out, rentVAIL often offers one free night when you book a rental for five or more days; be sure to explore all available specials and deals. With over 1,800 acres of skiable terrain, Beaver Creek Ski Resort is not only a top winter sports destination but also a popular destination for summer vacations, as well as one of the most scenic for fall colors. So why not book a rental here? You can trust rentVAIL and our satisfaction guarantee that our Beaver Creek condo rentals are of exceptional quality! And be sure to check out our Beaver Creek ski-in/ski-out condo rentals for quick access to the ski lifts. A short distance from Beaver Creek Resort, rentVAIL offers true Arrowhead Village ski-in-ski-out condo rentals. These vacation condos are ideal for families who need the comfort and privacy of a condo, and who desire a village community with dining, amenities, and activities immediately nearby. Arrowhead Village is a great choice in the summer too, with incredible fly fishing and hiking trails within walking distance. Many golfers consider Vail a golf destination, especially for the natural scenic beauty and terrain on area courses that challenge any golfer. We've put together the top 10 Vail golf courses, where elevated greens are big and tee boxes are as fun as they come. Stay right on the course where rentVAIL has several Vail Golf Club vacation townhomes on Golf Terrace Drive. Summer Concerts, Great Food, Equipment Rentals & So Many Things to Do! No matter what brings you to the valley, there is something for everyone outside of your vacation rental. Spend some lazy and relaxing time in Vail over the summer, enjoying fresh air and exercise, and a wide assortment of entertainment including Summer Bluegrass, Bravo! Music Festival, and Oktoberfest. Or explore Vail in winter where the skiing snowboarding is endless, and the snow gives way to other fun activities like snowmobiling, skating, snowshoeing, cross-country skiing and a number of on-mountain snow sports competitions and concerts. Beyond adventuring outdoors, there are many places to eat, shop and learn more about this young yet historical area throughout the Valley. Dive into the history of skiing at the local Colorado Ski Museum located in Vail Village or peruse high-end fur, jewelry and clothing shops dotting the sidewalks. Headed out for a bite? Be sure to check out the owner Rob's favorite restaurants for a taste of all that Vail has to offer! Should you need gear while you are visiting and enjoying the great outdoors, there are numerous ski and rental shops in both Vail and Beaver Creek, many with full-service ski tuning shops and extensive rental options to choose from. Snowboards, skis, poles, boots, bikes, scooters, safety accessories and apparel by top name brands, and professional fitting services too! You can even have your winter equipment delivered and fitted at your location. Use our handy Vail ski shop directory and select from one of the 19 local ski rental shops in Vail and Beaver Creek. Call us today for assistance with planning your vacation, and booking your Vail Valley vacation rental online. Our friendly and local reservations team is ready for your call!